Here's a close up from the ingredients. I'll be honest with you: this looks like Chinese to me. I'm sure that die hard beauty fans know what each ingredient means. One of my resolutions for 2014 is to focus on beauty too, instead of fashion only. 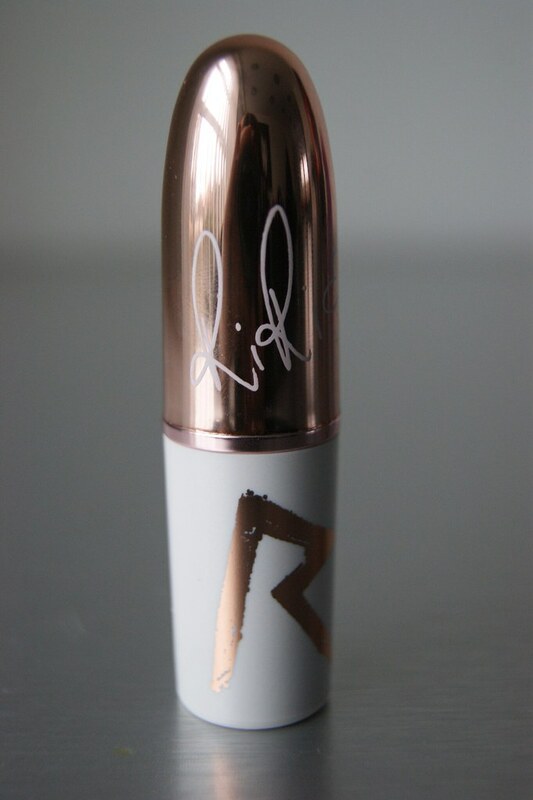 The packaging is white and shiny rose gold; totally different than the usual black M.A.C uses for their lipsticks. 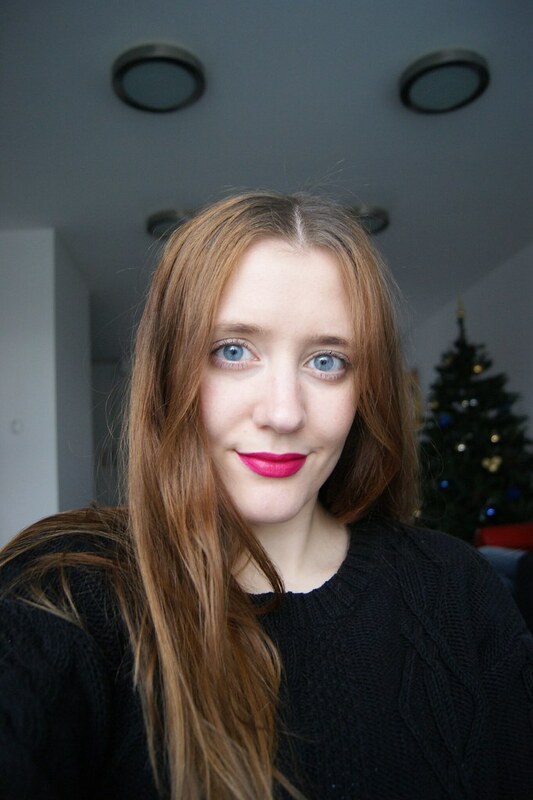 Yes, the lipstick above is Pleasure Bomb, even though it might look like Riri Woo at first sight. It was so difficult to capture the right color. I tried everything to get the best light, but this picture doesn't do the color any justice at all. It's actually a fuchsia matte color. 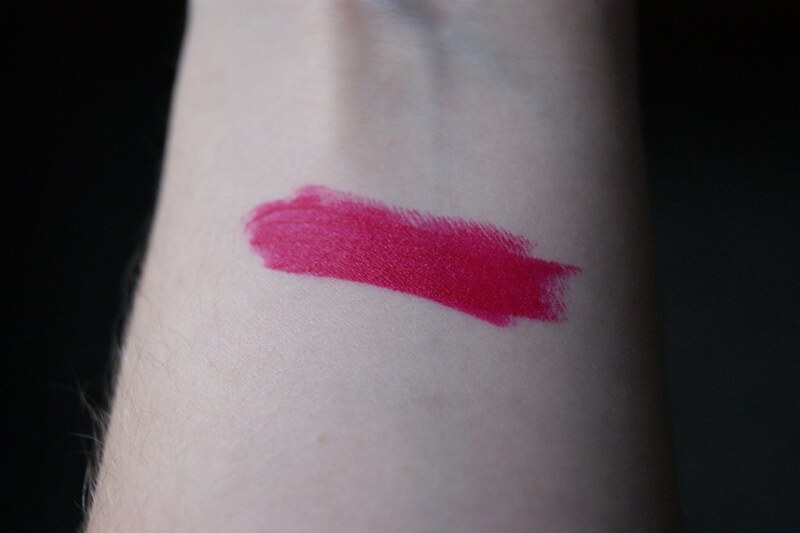 A swatch picture taken in natural light: the lipstick has great pigmentation and you can actually see the fuchsia color now. 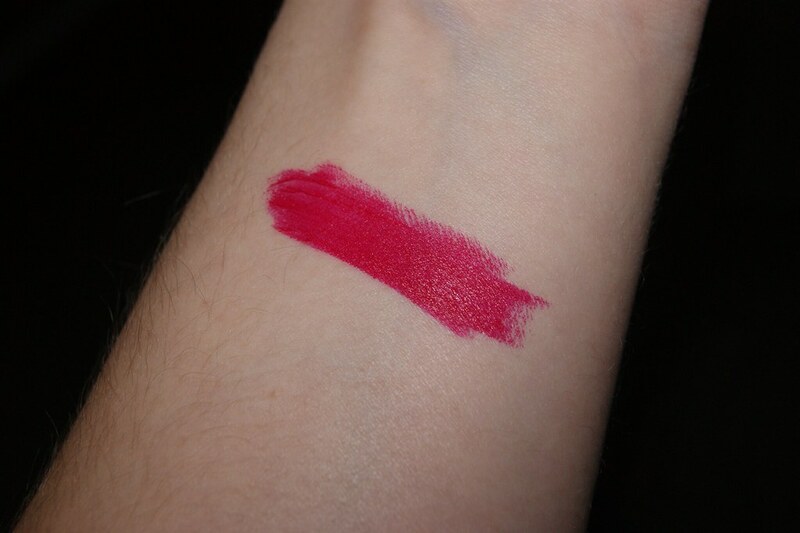 A swatch picture taken with flash: the color looks more red/pink now. Tadaaa! What do you think? I absolutely love this color. It's pink, but not in that Barbie kind of way. 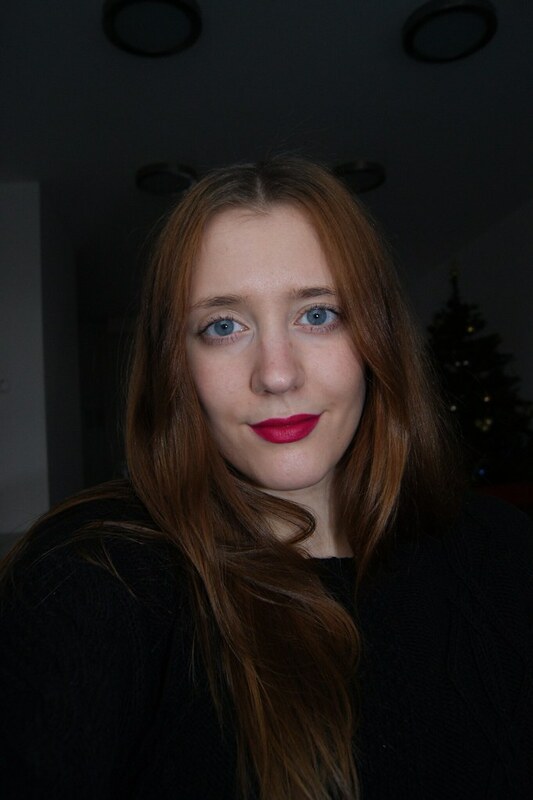 For me, this color is perfect for night and day. If you want to give your every day outfit that extra pop, this is it. These pictures were taken in natural light. This picture is taken with a flash. Again, it's more reddish than pink now. I still like it, though. 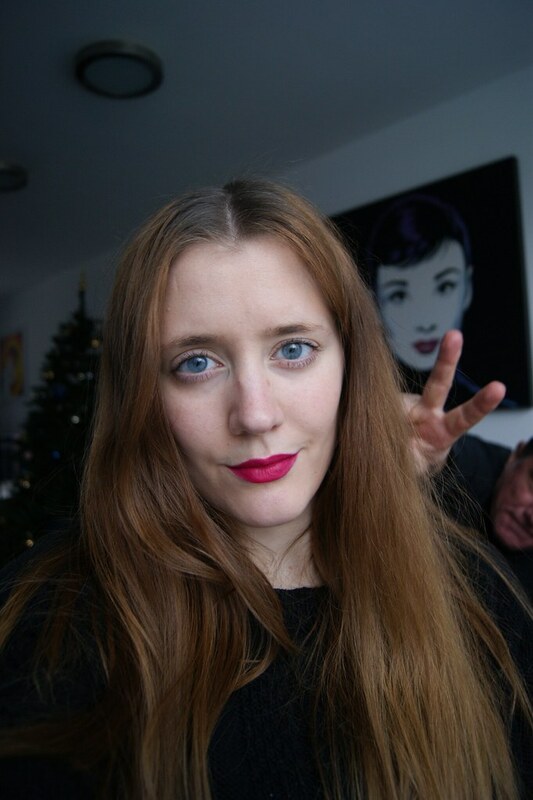 That's my dad photo bombing in the background. I didn't noticed it until I uploaded the pictures on my computer, héhé. He always makes me laugh with his silly jokes. 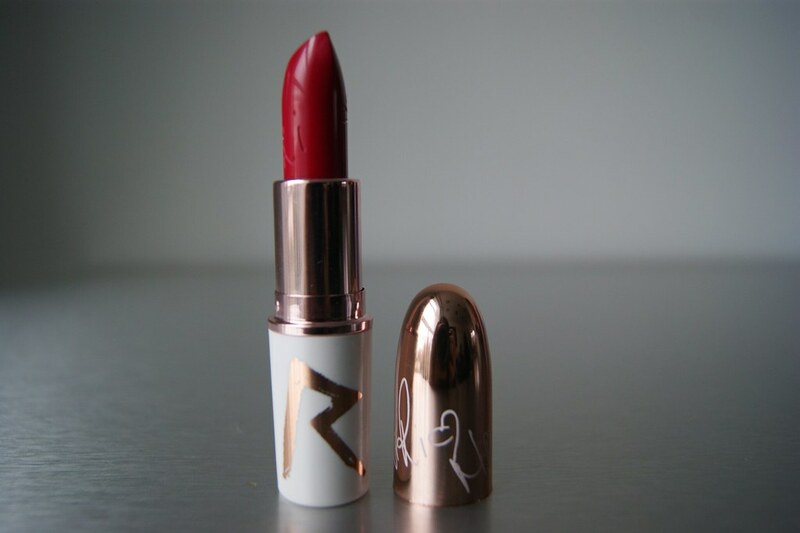 Love this lipstick, you are so lucky to have this one... you look beautiful with this color too!! Lucky you! It looks wonderful on you! 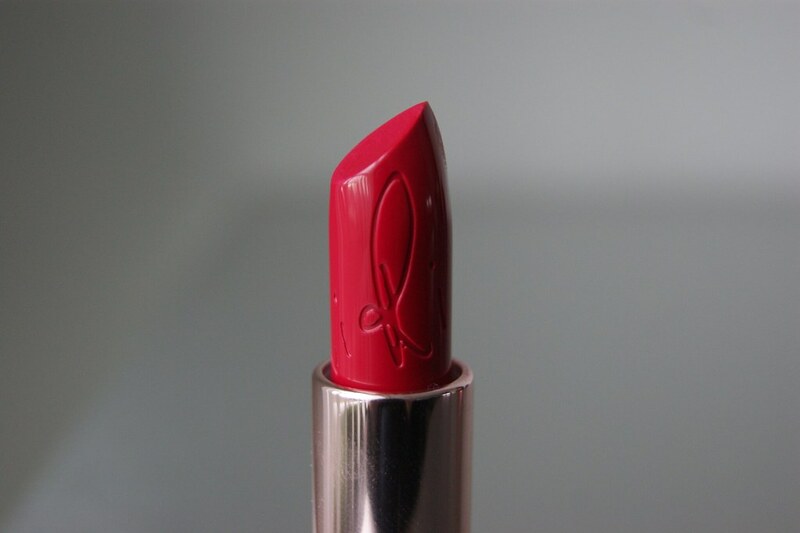 Love the colour, it Does look like her red but is so much pinker on your lips! Love the photobomb! Amazing color and fine texture! 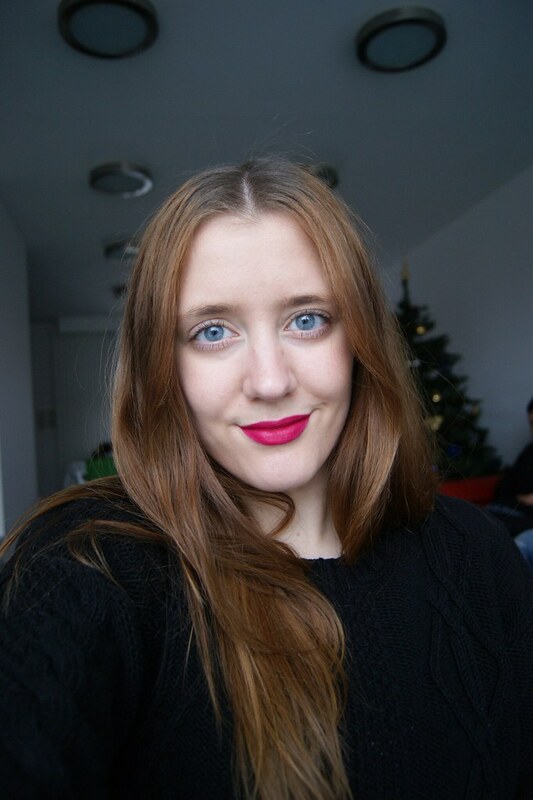 Leuke kleur! Ik ga morgen misschien eens kijken bij Mac in de Bijenekorf! Heel mooi kleur! Ik heb een soortgelijke kleur van Kate Moss, maar ik sta zelf niet zo enorm met zo'n rode kleur spijtig genoeg.. maar jou staat hij echt prachtig! I love the color. It looks great on you. The lipstick looks really nice on you, thanks for sharing all these details on ingredients and everything. 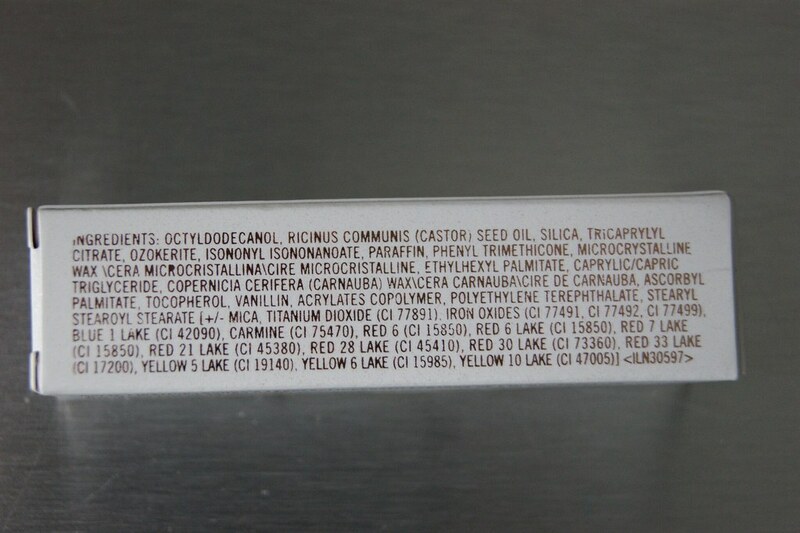 MAC makes amazing lipsticks, especially their matte ones, but the ingredients are usually fucked up.. Not the best brand when it comes to organic cosmetics! What a beautiful color! And it looks great on you!